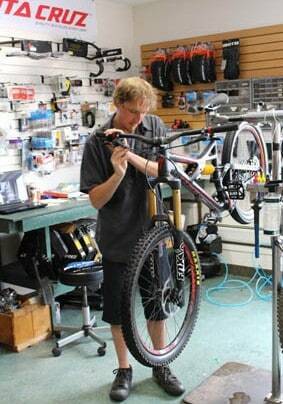 KILLINGTON — Graham has been working in bike shops since the age of 14. A former downhill mountain bike racer, he spends most of his time freeriding locally at Killington. 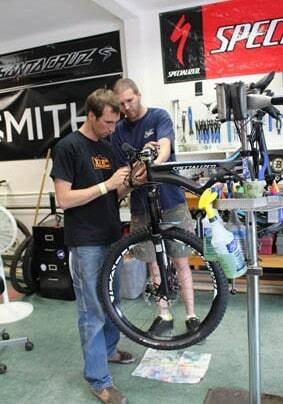 Having ridden in the Killington area for the better part of the last 20 years, it was no surprise he said “yes” when offered the position of head bike mechanic at True Wheels Bike Shop at Basin Sports. 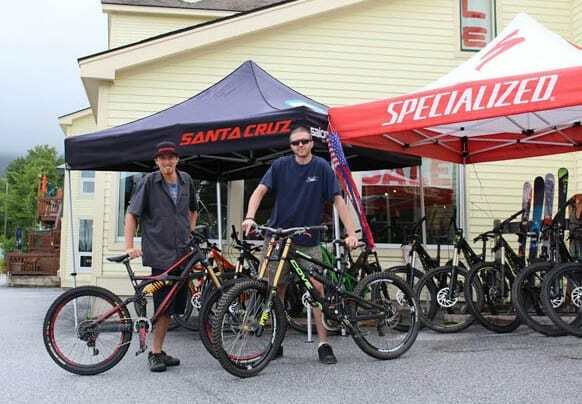 Prior to working in Killington, Graham Cook successfully ran multiple bike shops over the years giving him tremendous knowledge and experience within the bike industry. One of his specialties is custom bike and wheel builds. Whether it’s a titanium road bike or a carbon fiber downhill bike, Cook is happy to help you put together your dream bike. But it’s not just downhill mountain biking that Graham enjoys, road biking, trail biking, dirt jumping and even pedaling around town are just some of the ways he fulfills his biking desires. If you have a bike that needs fixing, or maybe just a question regarding bikes in general, stop by the shop and chat with Graham Cook, he’s always happy to help. True Wheels aims to make sure their customers that are out riding are having just as much fun as they all are when they go out.